VANCOUVER - British Columbia launched a proposed class-action lawsuit Wednesday against dozens of pharmaceutical companies, alleging they falsely marketed opioids as less addictive than other pain drugs and helped trigger an overdose crisis that has killed thousands. 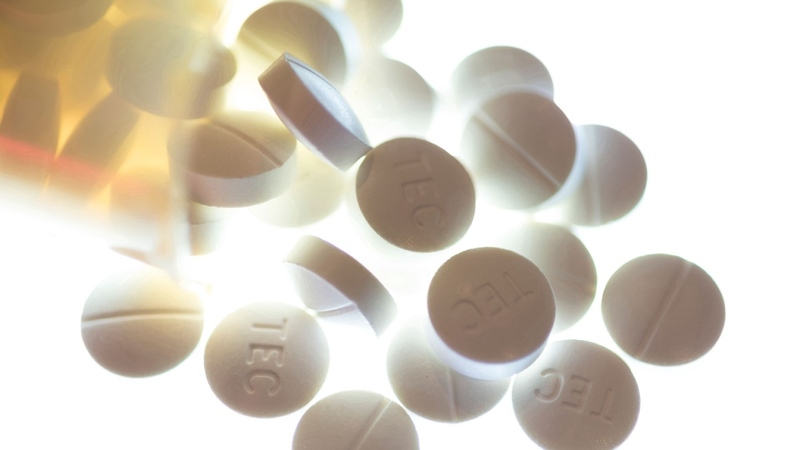 The lawsuit is the first of its kind in Canada and names OxyContin-maker Purdue Pharma Inc. and other major drug manufacturers. It also targets pharmacies, including Shoppers Drug Mart Corp. and its owner Loblaw Companies Ltd., claiming they should have known the quantities of opioids they were distributing exceeded any legitimate market. “Today, another three or four people will die from an overdose in British Columbia,” said Judy Darcy, the province's minister of mental health and addictions. Nearly 4,000 Canadians died from apparent opioid overdoses last year, while B.C. remained the province hardest hit by the opioid crisis, with 1,399 deaths, up from 974 in 2016, according to Statistics Canada. The province declared a public health emergency in 2016. The notice of civil claim filed in B.C. Supreme Court names 40 defendants. Statements of defence have not been filed and none of the allegations contained in the civil claim has been proven in court. B.C. is bringing the action on behalf of a class representing all federal, provincial and territorial governments and agencies, which during the period of 1996 until now paid health care, pharmaceutical and treatment costs related to opioids. The class period begins in 1996 when Purdue first introduced and began to market OxyContin in Canada. Purdue did not immediately respond to a request for comment. The B.C. government alleges that opioid manufacturers marketed and promoted the drugs in Canada as less addictive than was actually known to them, and for conditions the manufacturers knew the drugs were not effective in treating. Such marketing and promotion, the province asserts, resulted in an increase in prescription and use of all opioids. Other drug manufacturers named in the suit include Apotex Inc., Janssen Inc., Mylan N.V., Ranbaxy Pharmaceuticals Canada Inc., Sandoz Canada Inc., Teva Pharmaceutical Industries Inc. and Valeant Canada LP. Most of the companies did not immediately respond to requests for comment. Teva said it does not comment on ongoing litigation and Sandoz said it has not seen the lawsuit and was not in a position to comment. “The labels for our prescription opioid pain medicines provide information about their risks and benefits, and the allegations made against our company are baseless and unsubstantiated. In fact, our medications have some of the lowest rates of abuse among this class of medications,” it said in a statement. Shoppers and Loblaw also did not immediately respond to requests for comment. Purdue encouraged the long-term use of opioids for chronic conditions such as back pain, migraines and arthritis in order to expand its market and profits, the B.C. government alleges, and promoted a narrative that pain was under-treated and should be made a higher priority by doctors. A 1996 Purdue news release on OxyContin stated that “fear of addiction is greatly exaggerated” and “there is very little risk of addiction,” the lawsuit says. Despite medical practitioners raising alarm bells later in the 1990s and 2000s, pharmaceutical companies spent hundreds of millions to persuade doctors that risk of addiction to opioids was very low, the government alleges. In 2016, Purdue gave Canadian doctors more than $2 million as part of marketing efforts, the lawsuit alleges. The province also asserts that false claims were distributed in medical journals. The lawsuit highlights a 2007 guilty plea by Purdue in the U.S. admitting to misleading marketing. The company paid US$600 million in criminal and civil settlements, the lawsuit says, and an agreed statement of facts says Purdue employees intended to defraud or mislead when they marketed OxyContin as less addictive than other pain drugs. Attorney General David Eby said the lawsuit is based on the province's litigation against tobacco companies, which has been underway for more than 15 years. “While money can never address the human toll of this tragedy, it is my responsibility as attorney general to take action where we believe corporations or individuals have acted to harm the people of B.C.,” he said. In March, a Saskatchewan judge rejected a $20-million national settlement against Purdue, saying it was inadequate. That case was filed by individuals rather than by a government. Health Canada said in April it has closely noted the outcome of U.S. legal proceedings against Purdue. The department said action would be taken if it determines an advertisement poses a significant safety concern or contravenes its regulations. Purdue said in a statement at the time that it markets its products in accordance with the rules. In the U.S., drugmakers are facing hundreds of lawsuits from governments alleging the companies played a role in sparking opioid addiction and an overdose crisis that killed 42,000 Americans in 2016.